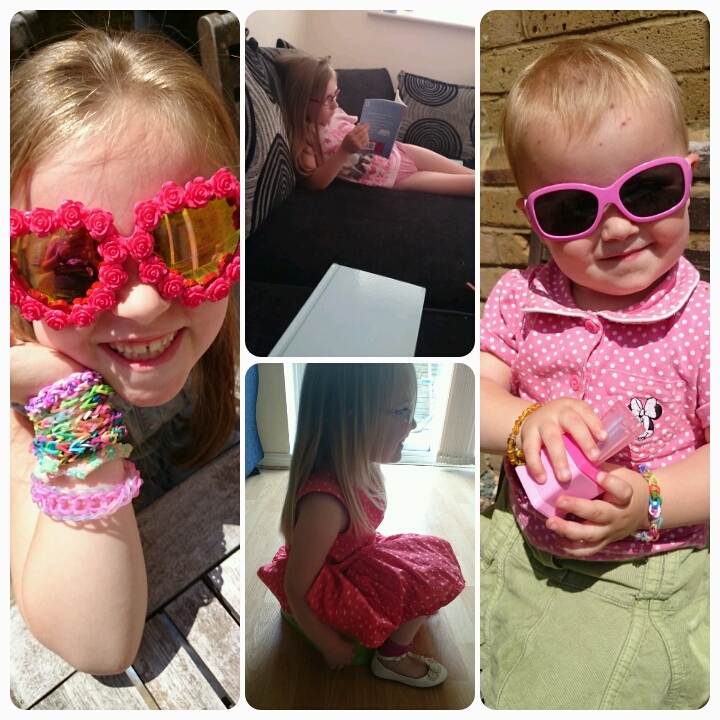 Well we've made it to July and that means we've reached the halfway point of project 365. I honestly can't believe that I've been taking photos of my girls every day for 6 months, where has the time gone?? This week the house/job hunt has continued, nothing yet but I'm trying to remain positive. We've been trying to get compensation for our lost luggage, another ongoing saga in the life of the Hazeldens. The kids have also been busy with movie nights, home visits and playschool open days. 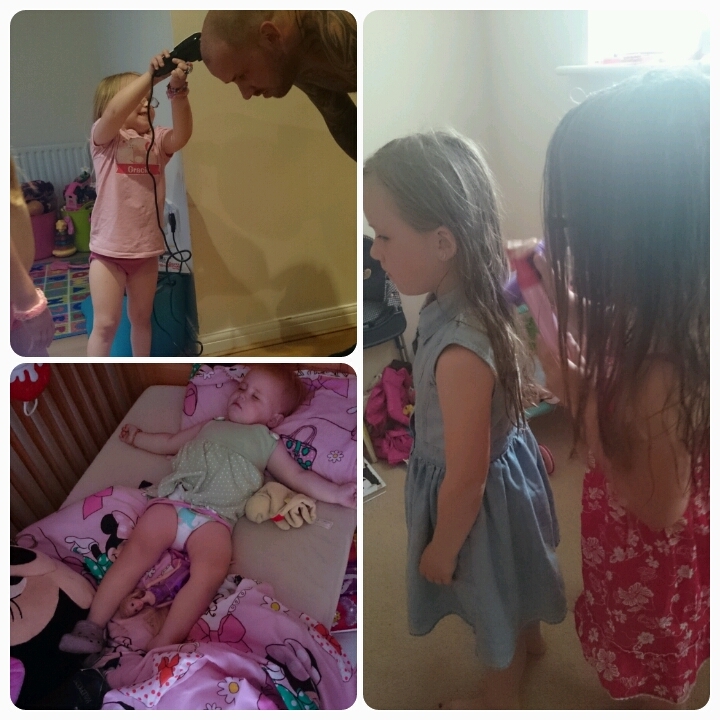 Gracie was helping cut daddy's hair, Elise and Freya were helping each other to comb their hair after hair washes and whilst all of this was going on, Layla slept. Elise was chilling with her latest book, Gracie was trying to teach Layla the ways of the potty and I spotted two cool dudes with their sunnies. 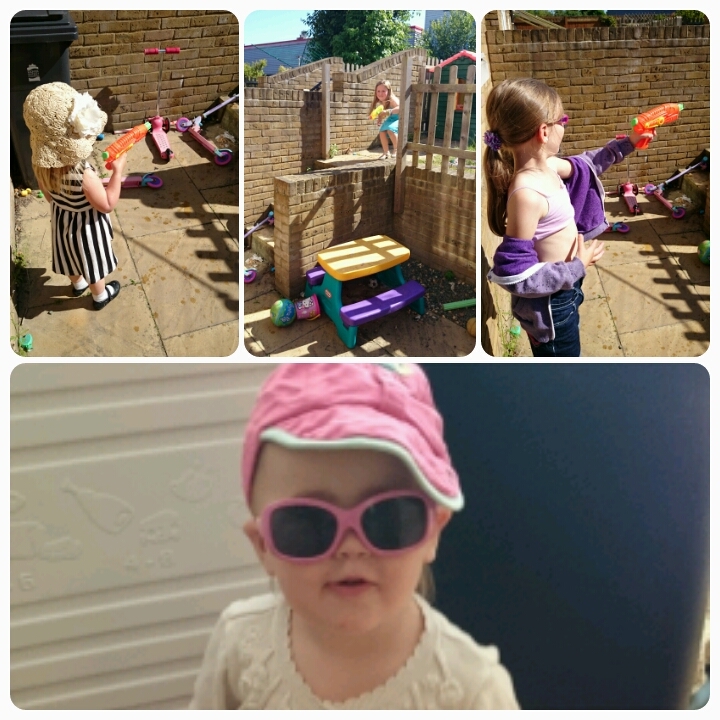 A water gun fight is necessary when the sun is shining!! 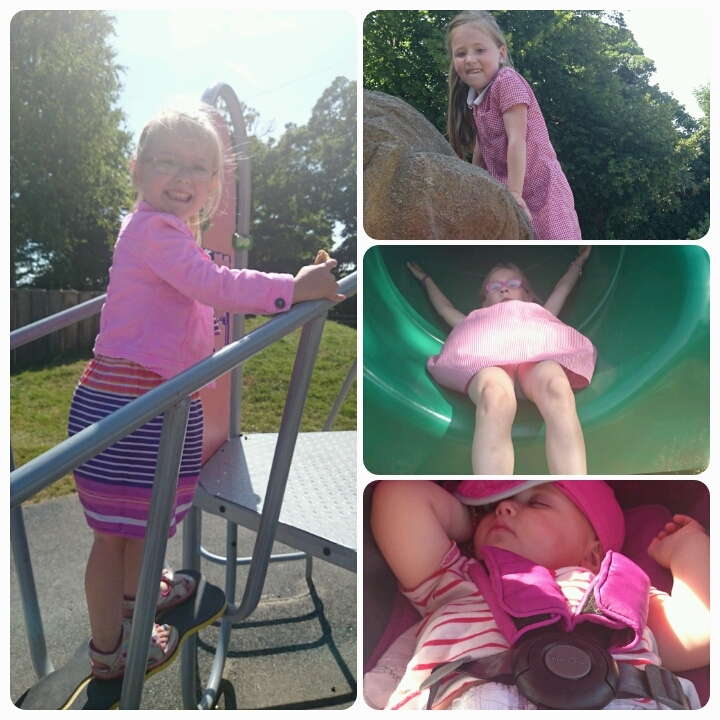 An impromptu after school trip to the park which Layla missed because she was napping. 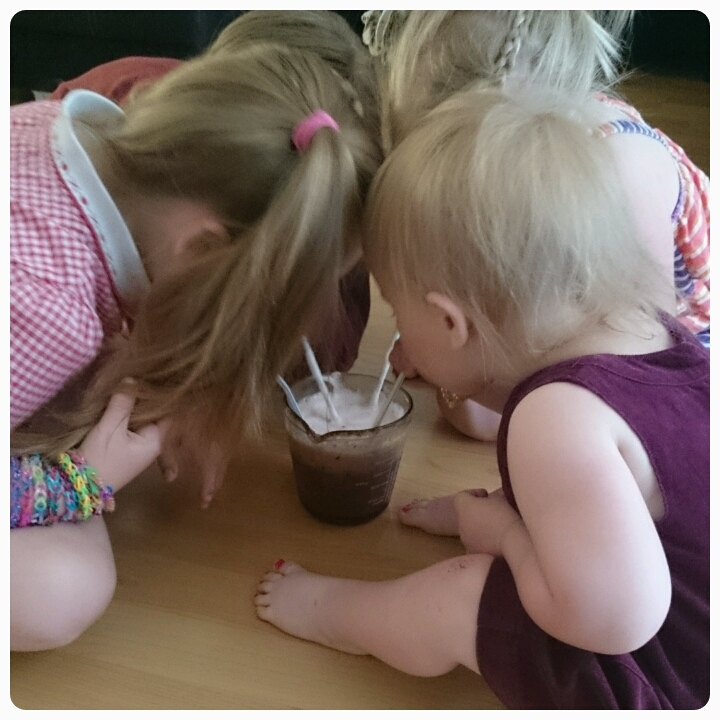 One jug, four straws, it could only mean smoothie time!! 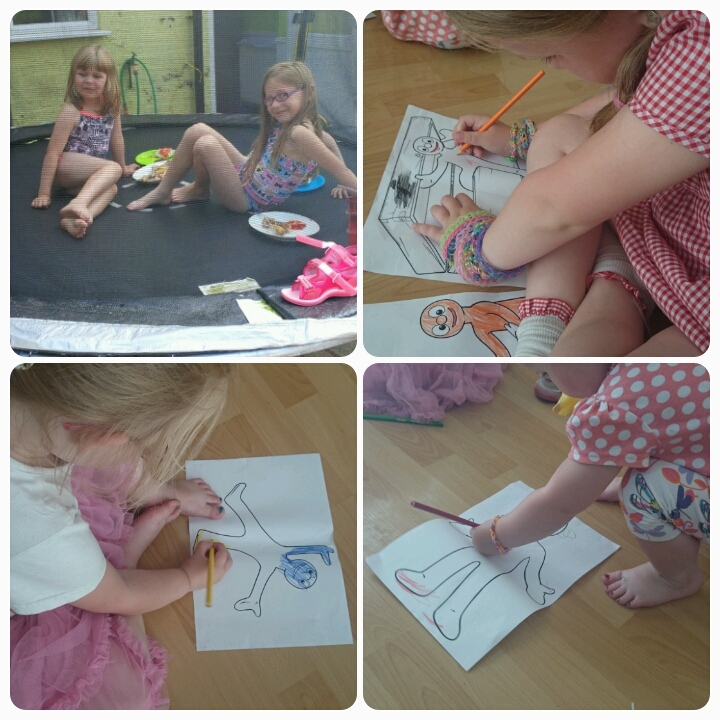 Elise spent the afternoon round her friends house whilst the others were joing in with the #MorphisBack twitter party. A lunch time treat, Nandos mmmm. 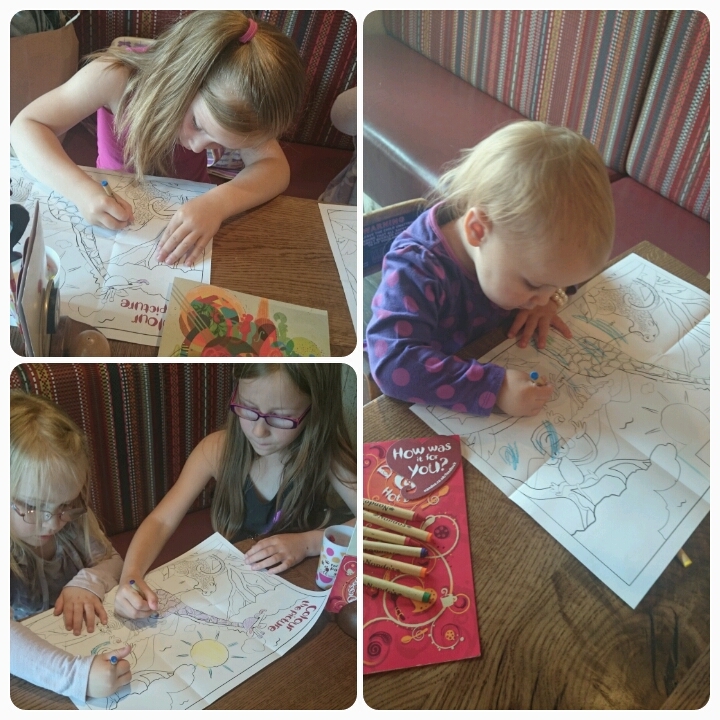 Girls were happily colouring wjile they waited for their chicken. Love the hair cutting pic - bet that was popular. smoothie photo is fab, bet they were all sucking fast to claim their share! I have to say that while Layla seems to miss out on some fun stuff while she's napping, on days like this recently I don't blame her at all! Awww love the one jug 4 straws!! So cute!